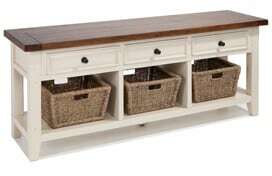 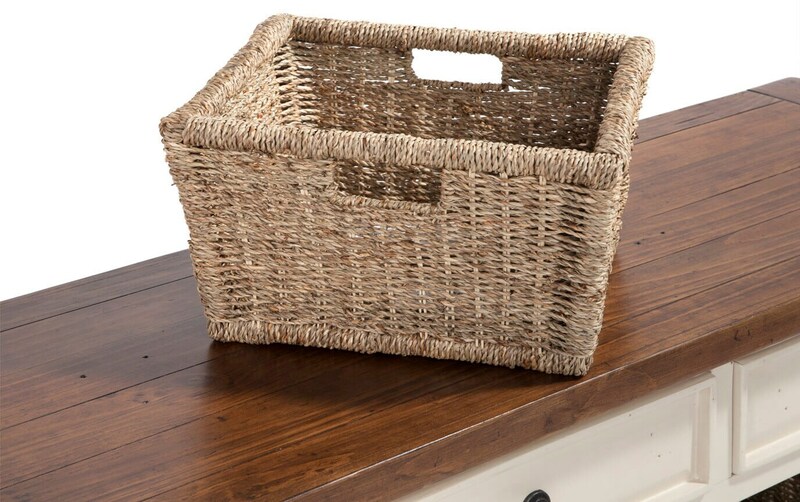 If you're in need of storage in a tight space, look no further than my 3 Basket Console Table. 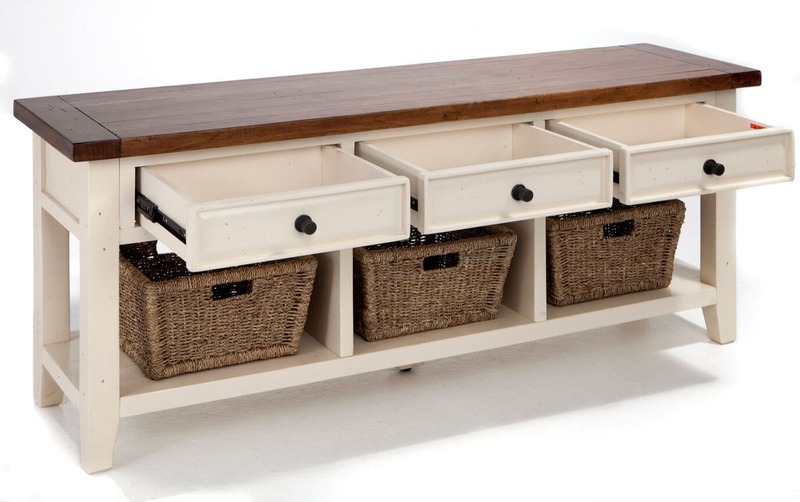 The three basket storage along with the three drawers help organize and maximize your space. 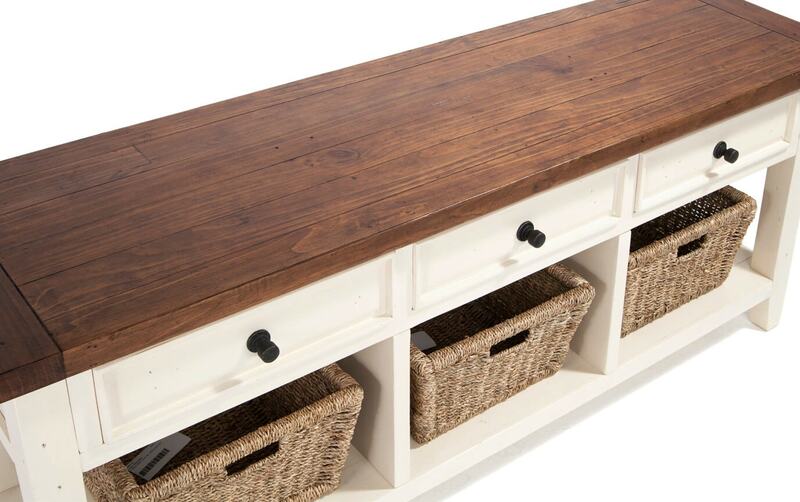 The new and reclaimed pine timbers add tons of quality and unique natural beauty to this console- no two pieces are the same!